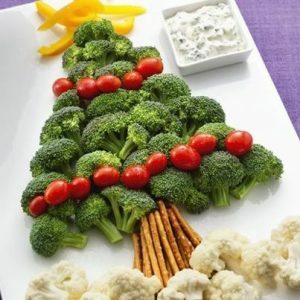 Home » Health & Wellness News & Articles » Have a healthier Christmas this year! Have a healthier Christmas this year! We’ve all been looking forward to our Christmas break since we left our summer blues behind way back in September, but that’s no reason to leave your healthy lifestyle behind. We let ourselves believe that Christmas is a time of eating anything we want, without giving the consequences much thought. We have put together some food for thought for you this holiday season. Staying active is hard when it’s cold, dark and Christmas films are on loop on the television. Try not to spend too much time sat down, encourage your family member to go on a country walk, or get active with the children in the family, trying out their new Christmas gifts! Let’s face it, we all deserve a glass of something fizzy after the stress of buying gifts and not burning the turkey, but all in moderation. Try and monitor how much alcohol you’re consuming, and remember to stay hydrated. Studies suggest that the average person consumers nearly 3,000 calories in their Christmas dinner, almost double the daily recommended intake! Excessively eating can lead to digestion issues and acid reflux. So, stop eating when you’re full, and don’t force yourself to eat that last roast potato just because ‘it’s Christmas’. You may start to appreciate those tangerines that Father Christmas has left in your stocking! Eating fruit over the Christmas period will not only strengthen your immune system, but restore your body of lost vitamins and minerals. Don’t forget about your brain. We all want to switch off and watch pointless TV once we’ve left the office, but don’t let your brain rest for too long. Play family games such as Trivial Pursuit or Charades to keep your mind active. Not only is it healthy for you brain, but a great way to get everyone together!